Soft shell, soft opening! 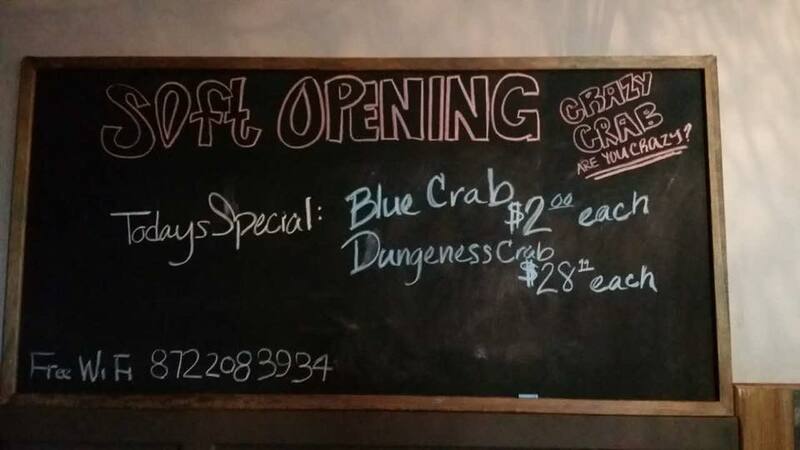 The Uptown Chicago Commission Facebook page has the news that Crazy Crab, 4650 North Clark, has opened for business. The UCC says welcome to our latest neighborhood restaurant, Crazy Crab #1. 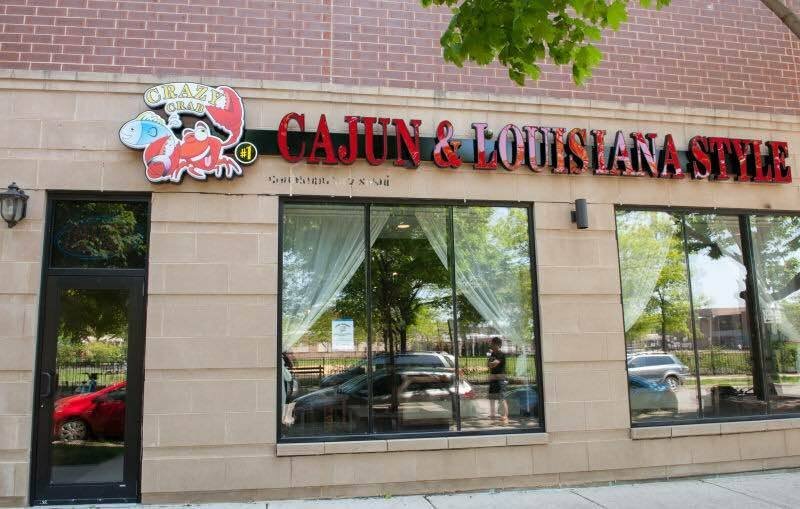 They "soft" opened June 1 in the space at Clark and Leland vacated by Aodake Sushi. Make sure to check them out. The menu states that the hours are 3pm-10:30pm Sunday through Thursday, and 3pm-11pm Friday and Saturday. The phone number is 872-208-3934. The Facebook page is here, and a photo of the menu is here. 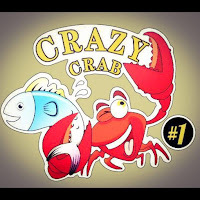 Welcome, Crazy Crab! We can't wait to try your Cajun seafood goodness! All photos courtesy of Crazy Crab on Yelp and Facebook. Soon as I entered the smell of seafood was in the air (good sign). The host was right there but the place was not busy. The waitress was courteous but I felt kind of rushed by her (she needs practice). The bibs a great touch cause this meal was messy I ordered the jumbo fried shrimp and snow crab legs and 2 corn. The crab legs and corn came sSoon as I entered the smell of seafood was in the air (good sign). The host was right there but the place was not busy. The waitress was courteous but I felt kind of rushed by her (she needs practice). The order came in a bag smothered in garlic butter mixture (one of the flavor options). Real garlic fabulous option. I recommend it with the king crab legs. Overall I was pleased but let's keep in mind that the place is new and the quality may change. I do plan to come back though give'me a chance to drum up business.